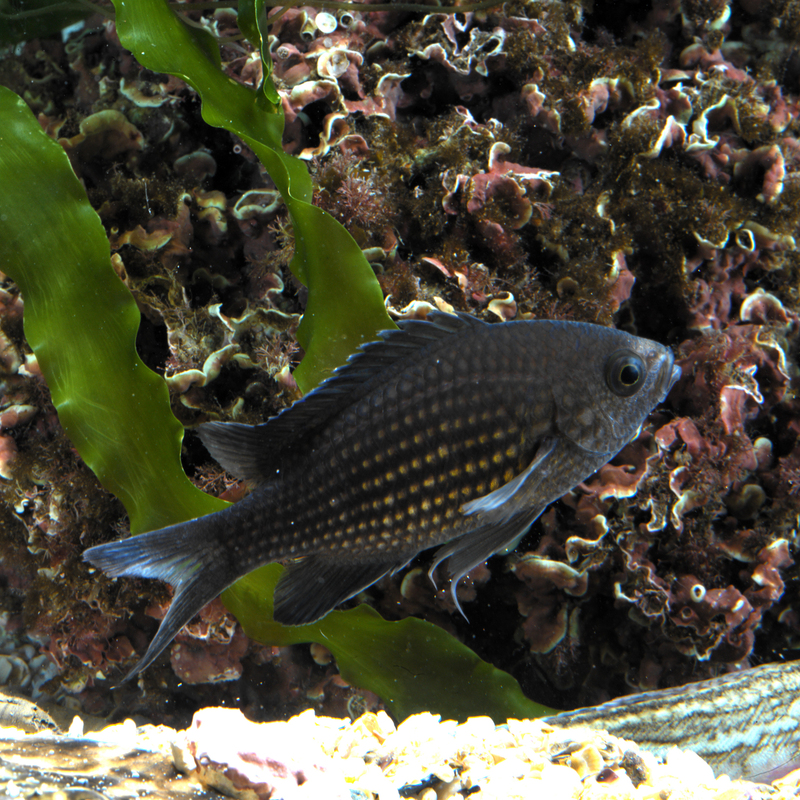 Adult damsel fish are brown, almost black, with highly marked scales, slightly golden in the central part. The young are an iridescent blue and lose this colour as they grow. This is a gregarious species, that is, it lives in groups. It feeds on plankton and small benthonic organisms. It has oviparous reproduction. In the summer, the male becomes territorial and prepares a nest where the female lays her eggs, which are bound by adhesive filaments. These eggs are watched over by the male, which constantly renews the water by moving its pectoral fins. It seems that the male attracts the female by jumpring and waving its tail. The females remain stationary and near the spawning places, occasionally descending. Fertilisation takes place after laying and three days later the females leave the place, but the males remain to watch over it. The young, shiny blue in colour, remain stationary in depressions and cracks in the rocks. They usally live in shallow waters, between 2 and 30 m, close to rocky walls or on meadows of Neptune grass. They are found in the Mediterranean and the eastern Atlantic from Portugal to Guinea. 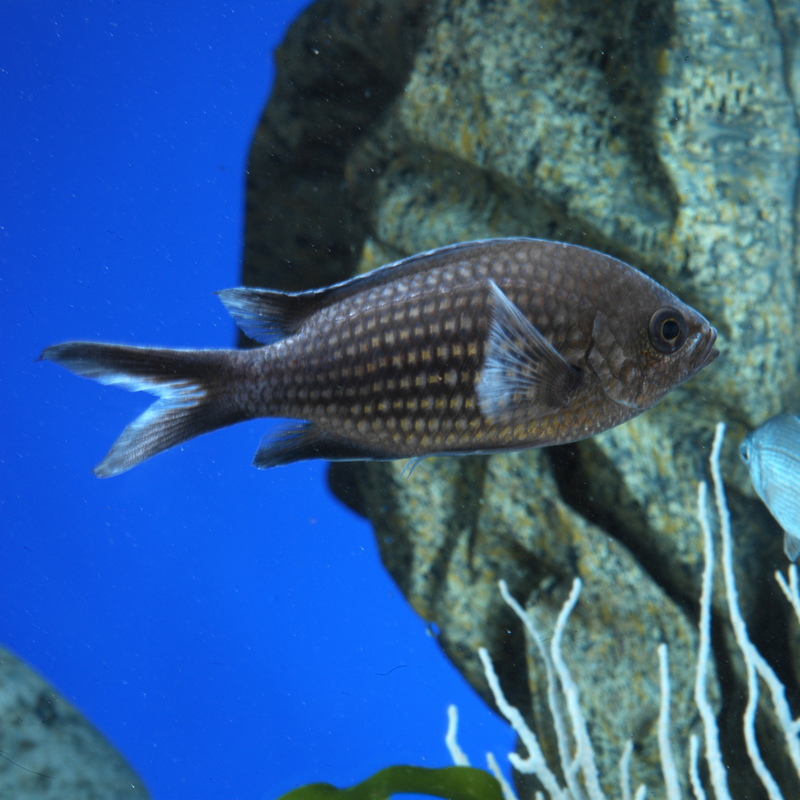 The male is responsible for looking after the eggs and fanning them to give them oxygen.